As a creative entrepreneur, you probably spend a lot of time answering enquiries about your services and products. It’s great to be getting lots of enquiries, however, it’s important to remember that enquiries are not sales. It just means that someone is interested in what your brand has to offer. I know a lot of people who work within a creative industry don’t like to think of themselves as “sales people”, but in truth, we spend a lot of our time trying to find ways of turning enquiries into paying customers. 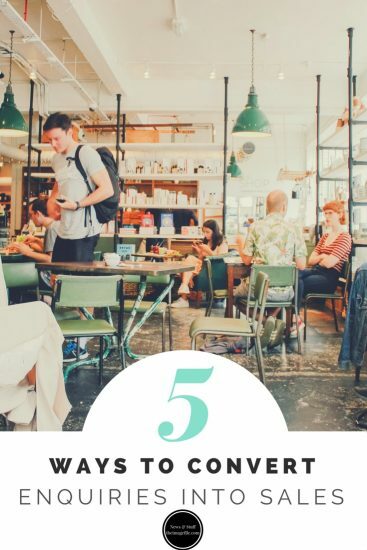 So here are five things you can do to book more clients. I know a lot of business owners find it hard to set prices for their services but it really is an area of your business that needs to be up in lights. Yes, it’s a conundrum. Low prices might bring more custom but they might not be the type of people you want to work with, while higher rates might scare off potential customers. Unfortunately, by not listing your prices at all you’re probably putting off everyone. People are far more likely to hire your services or purchase your products if they know from the outset how much everything is going to cost. It will also save you a lot of time and energy as you can put your efforts into the enquiries that are actually interested in working with you rather than those just trying to find out your rates! Stuck on how to price your services? Check out our super easy pricing formula here! It’s always important to understand the needs of your customers and how you can help them achieve their goals. By truly “knowing” your client base you can offer products and services that will help you create a company that is catered to your customers’ needs. As an expert in your field, you probably have a fair idea of what will be popular with your customers and what they require from your business. Of course, you should always listen to what your customers have to say and never pressure them into a purchase that you know they are or will be unhappy with. Great customer service does not only apply to your email etiquette and phone manner. It also means answering all messages as fast as you can, listening to complaints and finding a great solution as well as sending some kind of thank you notes. Also, try to be generous when writing your product descriptions or service information. Make sure to include all the information a client might need/want to know for example; if you are a family portrait photographer maybe include a checklist of things to bring, some great locations in the local area and a detailed step-by-step of what will happen throughout the session. Want more ideas on how to give awesome customer service? Check out our blog post on how to give every customer the star treatment! Nowadays, our main form of communication is via email of instant messaging. This means that a lot of us have got into the habit of answering an email and moving straight on to the next one. But that’s not the best practice. Everyone likes to feel special and to talk about ourselves. So try to start a conversation, to get to know potential clients better and learn how you can help them the most. If you’re outgoing and love talking over the phone, calling potential customers will make a huge difference and prove that you are in fact a real person who cares about their experience with your company. A lot of books will tell you that the best sales tactic is to put pressure on the client so that they sign a contract as quickly as possible. However, the majority of the time people are more likely to work with you if you give them time and space. It’s fair enough to let them know that you are on a tight schedule and you have other people waiting but giving them some time to decide for themselves often has the biggest turnover. 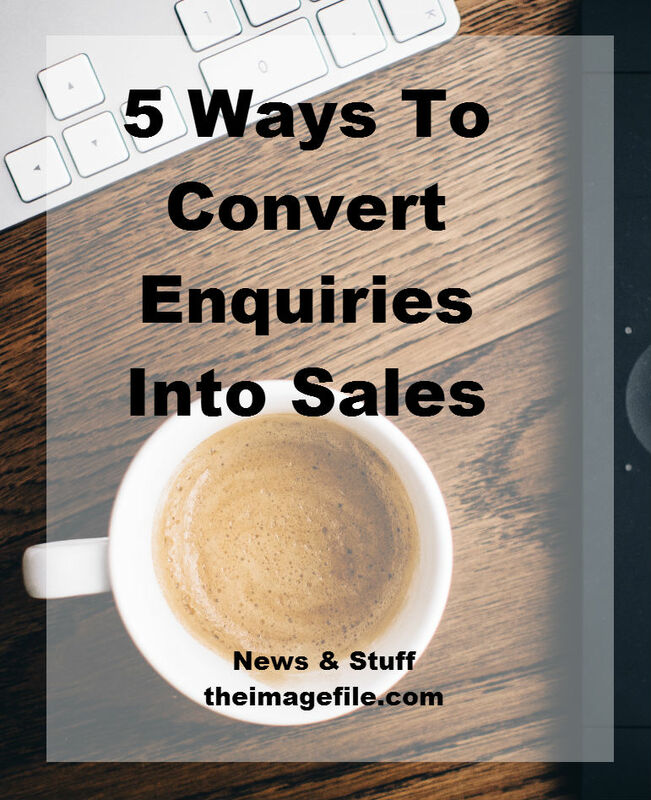 In your opinion what is the best way to convert enquiries into sales?